Soon, Tenno, the journey into a new world begins. A new open-world space, the second since the launch of Warframe, is nearly upon us. The new space, Fortuna, was revealed at TennoCon 2018 this summer and will finally be coming to our homes when the Fortuna expansion arrives for free on PC in November 2018. 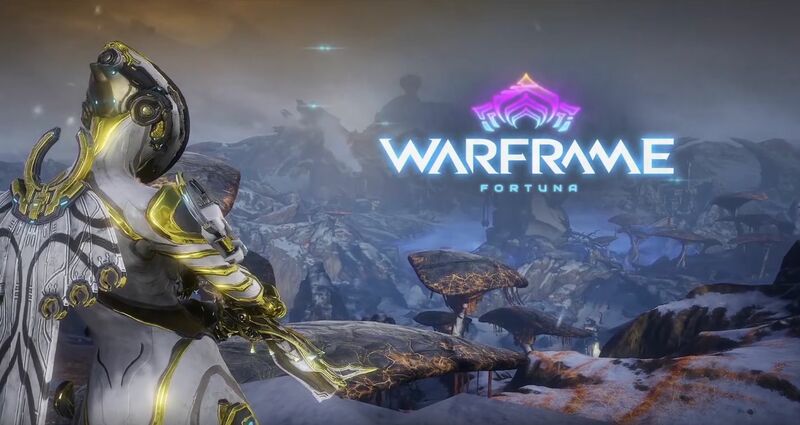 The Xbox One and PS4 versions of Fortuna will go live sometime later in the winter. Tenno will follow the Solaris United faction's struggle against their Corpus overlords by picking up bounties and missions underground in the internment camp of Fortuna, and, using the new K-Drive hoverboard, will get wicked across exotic new terrain peppered with Orokin structures, towering mushroom stands, and oceanic flora. Another major change coming to Warframe soon is Railjack, the co-operative spaceship combat experience. Also revealed during TennoCon 2018, players got to witness an exciting new mode that had players firing against other ships, defending their ship's interior, and jumping out into space with their Archwings to fly to the enemy ship and destroy it from the inside. Amazon Prime subscribers can use their Twitch Prime accounts to get some awesome Warframe gear. The Chroma Prime Warframe is the current offer via the Prime Access Pack, so act quickly and add a new formidable frame to your arsenal. There are regular Twitch Prime deals that add more content to the game, so keep an eye out for those. Warframe from Digital Extremes launched originally in 2013 and has been supported with a wealth of updates on PS4, Xbox One, and PC. The Nintendo Switch version is being developed by Panic Button and releases November 20, 2018. Stay tuned to Shacknews for additional updates. Totally waiting for the next Assasins' creed game to be called "Fortassinations"